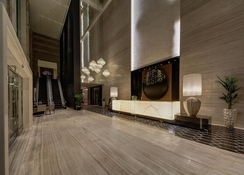 Steigenberger Hotel Business Bay Dubai is a cosmopolitan 5-star property set in the heart of the Business Bay district. 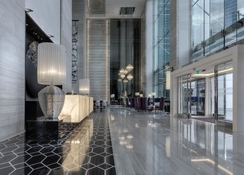 The hotel enjoys close proximity to Burj Khalifa, Dubai Downtown, Dubai Mall as well as convenient access to and from Sheik Zayed Road and Al Khail Road. 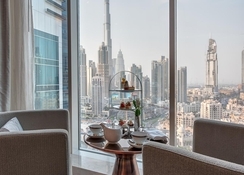 Features of the include plush furnished guestrooms, a pool for adults and one for children, six delightful restaurants and of course excellent views of the Burj Khalifa and the Dubai Marina from the accommodation. The hotel looks forward to welcome both business and leisure travellers to Dubai with excellent guest amenities and warm hospitality. Guests opt for this hotel due to its excellent location, comfortable amenities and unobtrusive, helpful service for that 5-star experience. Leisure and shopping destinations such as Bay Avenue Park and Emaar square are but only a brief stroll from the property. 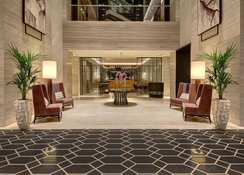 The closest airport is Dubai International Airport at 16km from the property. The hotel offers a complimentary regular shuttle to La Mer beach, which is about 11km. 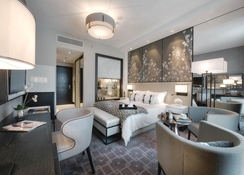 Guests at Steigenberger Hotel - Business Bay can choose between a range of distinctive rooms and suites, nestled across nineteen floors, offering beautiful views of the Dubai Canal, the City’s skyline or the awe-inspiring Burj Khalifa. All rooms have a writing desk with Wi-Fi. The marble private bathrooms come with a bath and a shower. Steigenberger Hotel - Business Bay a wide array of dining choices from its six in-house venues such as Brothaus Bakery – which serves a sumptuous breakfast; The Backyard, with an interesting garden terrace; Swim & Tonic pool bar and lounge with magnificent Burj Khalifa views; Bayside Restaurant & Terrace, serving international cuisine, the recently opened international Cuisinero Uno, a tapas bar and also the Secret Terrace. 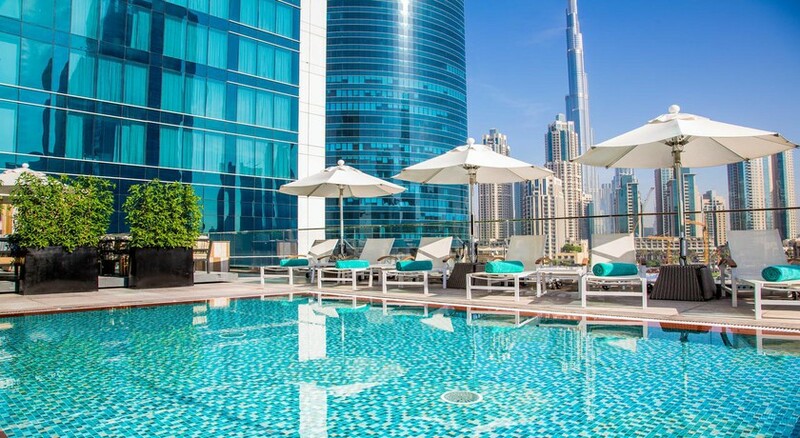 Steigenberger Hotel - Business Bay has a delightful pool with a children’s pool alongside which offers magnificent views of the Burj Khalifa and is served by a pool bar. The elegantly styled Club Lounge offers relaxed seating and lounge space to eat, meet, or just relax, membership is offered complimentary for all suite guests and to others at a charge. It offers bird's-eye views of the Dubai Water Canal, snacks throughout the day and many exclusive advantages.